3000R-Heavy duty sprinkler cart with wheels constructed of 3” heavy wall steel pipe with durable 3" square tubing axle and "baked on" powder coat finish. This cart is designed for large scale commercial use for agriculture irrigation, mining dust suppression, truck farm irrigation, golf course irrigation, etc. The 3000R features a pin style tractor tow hitch and large wheel assemblies that are "solid" rubber filled for moving the cart around farms, pastures, etc. The large, solid rubber filled wheels add weight for stability and the 3000R also features drop down stabilizer feet to prevent sliding in high-pressure applications. Flow ranges for the 3000R can range from 125 gallons per minute to 500 GPM with coverages up to 400 feet in diameter!! Standard with 3" standard national pipe threads and the large commercial grade Sime model "Ranger" impact style sprinkler that may be set to a full or part circle pattern. It is normally fed with a 3" or 4" line bringing in large volumes of water to supply it's big performance capability. 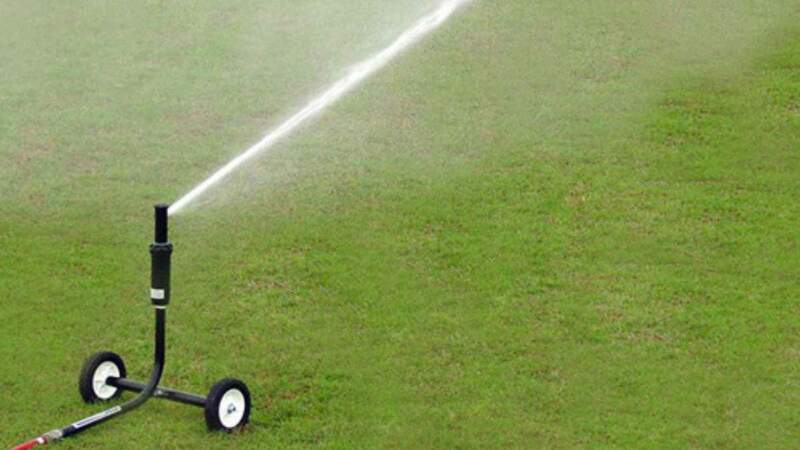 The 3000R BigSprinkler cart is the "Super" cart of the group, capable of watering very large areas in a short time! 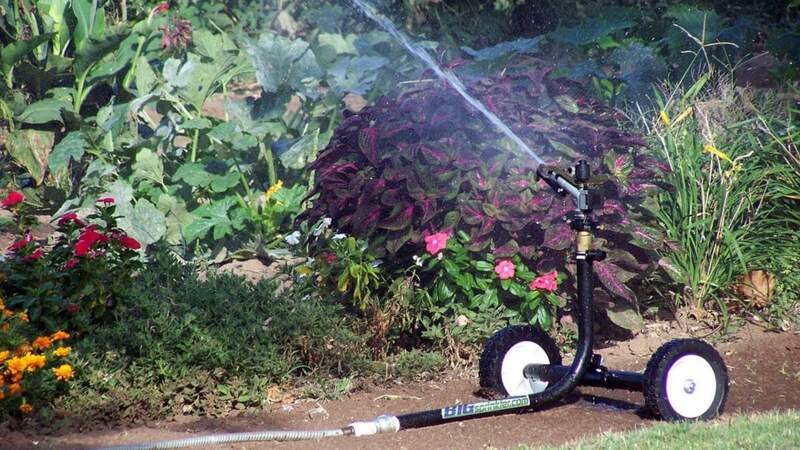 Select the specifications tab to view a full performance chart on this sprinkler. 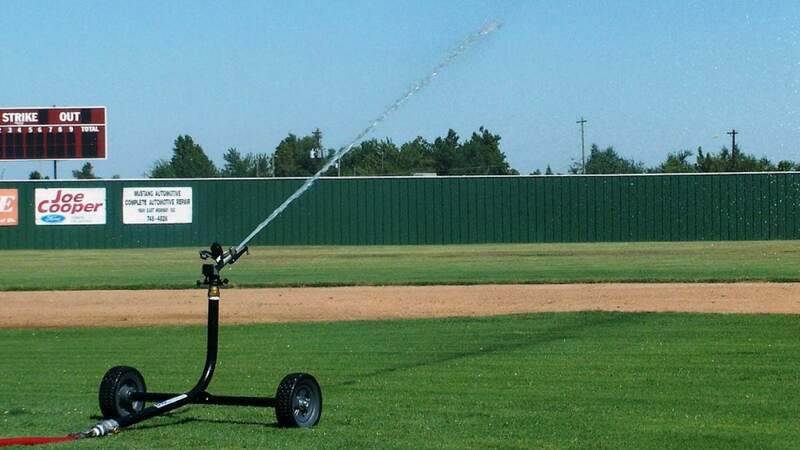 Portable wheeled sprinkler carts are an excellent and affordable option for irrigating a variety of areas such as gardens, large yards or acreages, playgrounds, natural and artificial sports fields, horse arenas or round pens for dust control, mining projects, hobby farms, and much more. 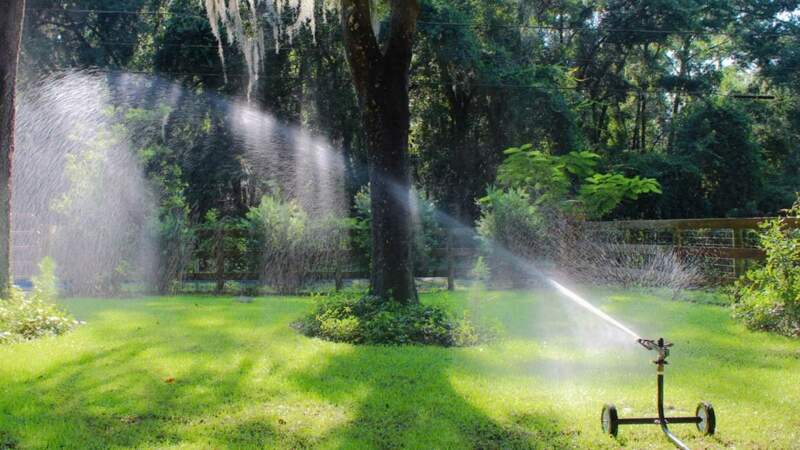 Our carts are fabricated with care and precision in our facility with heavy steel tubing and a low profile 3" square tubing axle design to prevent tipping the sprinkler is in operation or when pulling the supply hose to reposition the sprinkler cart. 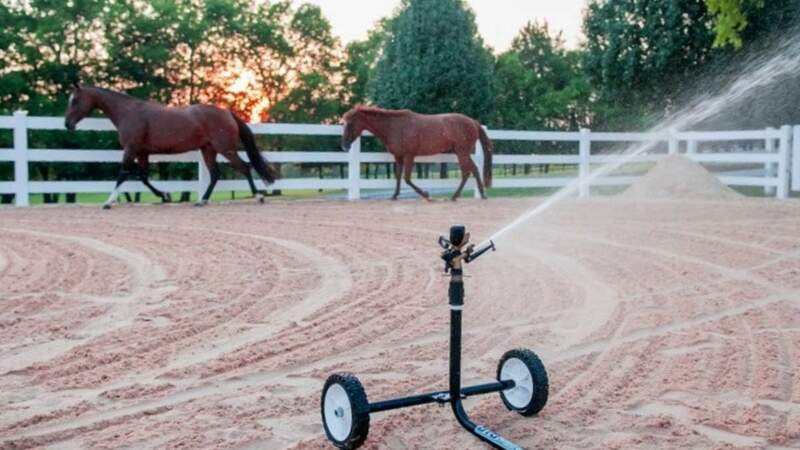 This sprinkler cart requires a flow range of 125 to 500 gallons per minute provided from an irrigation well or surface water pump from a stream, lake or reservoir. Check out our 23HP gas driven pump or our PTO tractor driven pumps in our pump section for a match to this cart. Larger pumps may be custom ordered from our design staff if you have large applications requiring long pumping distances that require higher horsepower pumping needs. This cart ships by truck freight. Inlet Size: 3” Standard, Adaptable to 2”, 2.5", or 4"